Dr. Joseph Nwoye serves as a consultant and a member of Diversity Frontier Board of advisers. Joseph earned his doctorate in education with a focus in curriculum and instruction and concentration in urban education, masters in elementary education, and bachelors in marketing management from Indiana University of Pennsylvania. Joseph also holds a masters degree in business administration. Joseph is the author of two books, both of which deals with diversity policies and practices; he has written several book chapters, and served as Guest Commentator and writer for the Bloomington Pantagraph Newspaper. In addition, Joseph has written several journal articles and presented at national and international conferences. His work has been profiled by professional organizations including Western Libraries. Dr. Nwoye has taught numerous courses in both graduate and undergraduate levels, teaching numerous courses including: Issues in Education, Foundations of Inquiry, Multicultural Education, Students’ Diversity in Higher Education, Urban Education, Educational Psychology, and Foundations of Education. He has worked as the director of the Urban Program in Peoria, Illinois and Philadelphia, Pennsylvania (Urban teacher preparation program). Joseph’s diverse cultural experiences both within and outside the United States have provided him with insight into the power of professional development that considers the cultural background and learning styles of learners, instructional design, and issues associated with diversity. Dr. Nwoye research interests are in the areas of culture, cognitive theory, diversity policies and practices with focus on professional development. Most recently, he is involved in the efforts to integrate pedagogy, culture, and technology into teaching techniques to promote more conceptual teaching that fosters meaningful learning. Joseph collaborates with professionals from different parts of the world including Philippines, Nigeria, Mexico, Argentina, Canada, and the United States. After completing a Bachelor of Science degree in English and Social Science, Ms. Vaughan received a Master of Science Degree in Education, both from Hampton University, Hampton, Virginia. From 1990 until 2009, she was Director, Office of Public Relations, Office of Dean, Howard University College of Medicine. She wrote comprehensive reports regarding the college’s research, achievements, faculty/alumni accomplishments and events that promoted the most positive image possible for the college among its constituents. While at the College of Medicine, she co-authored a book with the then dean. Simultaneous with working at the College of Medicine, Mr. Vaughan’s experience also included teaching English as a Second Language in an adult education program and in an adult basic education evening program. Ms. Vaughan tutored and taught students skills necessary for effective writing, planning and organizing class assignments. Currently, and for the last four years, Ms. Vaughan is an adjunct professor of English at Strayer University on the Rockville Campus in Maryland. She teaches principles of effective writing for specific English classes in the curriculum. Additionally, Ms. Vaughan tutors students who are having problems writing effectively to complete required assignments, i.e., sentence structure, grammar, punctuation, organization, etc. A native Spanish speaker, Emiliano Sor has taught and tutored Spanish for more than 10 years. He has worked at three different entities, including Mount St. Mary’s University, Hood College, Oneness Multicultural School, and Montgomery College. As a faculty, he has recommended students for studying abroad programs worldwide and nationwide. miliano understands first hand that learners learn differently; he therefore employs variety teaching methods in an effort to meet the needs of his students. He tutors students in all levels and in different counties. He is knowledgeable of the study programs, encouraging, and he is flexible with students’ needs and scheduling. He has also translated diverse documents and reports for news agencies and has done voiceovers and music shows for radio and television in Spanish. Mr. Sor holds a Master’s Degree from Hood College, in Humanities and Literature (his thesis, written solely in Spanish, focuses in the value of the testimony in the post dictatorial period in South America). He also holds a BA in Foreign Language and Mass Communications from American University. Engineer Nwoye is the President and the Chairman of Diversity Frontier’s Board of advisers. Mr. Nwoye earned his Engineering degree and MBA. He served as an engineer and manager of M-Tel, a division of Nigerian Telecommunication Company. He is a people oriented person with an international outreach. He fosters international relation among all people around the world, and active in establishing excellent professional relationships with prominent American educators and business representatives, some of whom had had the opportunity to visit Nigeria such as Dr. Larry Vold, a retired professor of education from Pennsylvania. Mr. Jinglong Wang is Diversity Computer repair associate. Mr. Wang graduated as master degree of computer science in 1998 from Fitchburg State College MA. Currently work at Synergy Inc. as a senior programmer. María-Elvira Luna-Escudero-Alie has a Ph.D from Georgetown University. Hers dissertation’s title is: “The structure of time on the plays of Mario Vargas Llosa”. She is currently teaching full-time Spanish and French at Montgomery College, Takoma Park-Silver Spring Campus, and in her spare-time she volunters to present on issues important to Latinos. 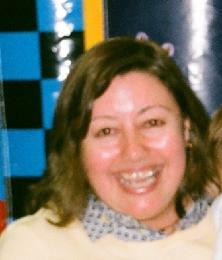 Prof. Luna-Escudero-Alie was nominated for the NSCS 2006 Faculty of the Year Award. She was awarded in 2002 a Certificate of Distinction in Teaching by Harvard University. Prof. Luna-Escudero-Alie has published several literary articles. Dr. Luna-Escudero is a committed associate of Diversity Frontier's world language team. Melinda Nwoye is the Vice President and Chief Operating Officer of Diversity Frontier, USA. She is responsible for ensuring that the need of our clients is the organization’s first priority. She is also responsible for advising reading and writing associates on new research that would inform us on current issues in reading and writing matters, as well as providing support services for Diversity associates. In addition, she is responsible for overseeing all corporate matters at Diversity Frontier. She is one of the founders and has held various roles within the company since 2006. Melinda holds a bachelor’s degree in Elementary Education with concentration in reading instruction from Indiana University of Pennsylvania, a Masters degree in reading from Illinois State University, and Advanced Professional Certificate in Elementary, Reading, as well as in Early Childhood education from Maryland Department of Education. Nwoye has also served as a reading specialist for Prince Georges County Public School as well as taught reading classes at Illinois State University and Montgomery College. She has also supervised student teachers in Urban Education. 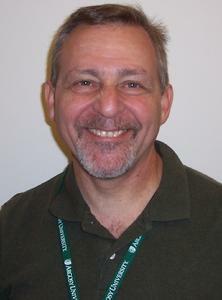 Dr. Benenson is an Associate Professor in the College of Education at Argosy University, Seattle. He has been a professor at Illinois State University (where he was the Chair of the Early Childhood Division) and at the University of New Mexico; he has also been a classroom teacher at every grade level, K-12, and locale (urban, suburban & rural schools). His professional specialties include: educational leadership, curriculum design, critical thinking, Social Emotional Learning, action research and school-based conflict resolution (where he is a certified trainer in Peer Mediation for Elementary School and Middle School levels). In his private life he looks forward to his dog walking him every day. Increasing Cognitive Capacity - Participants will learn how to problem-solve a "disorienting dilemma" through systems analysis, generating multiple perspectives and identifying a range of inteconnective solutions. Reculturing (schools and organizations) to become professional learning communities - Participants will learn shift from "either-or" thinking to "both-and" thinking in identifying modular (as opposed to standarized) instruction/training tailored to an individuals needs and learning intelligence, style and pace. Student-centric learning: Increasing individual achievement and school improvement. Teachers will learn how to listen so students will speak deeply about their true needs and speak so that students (and peers) can "conversate," that is, share deeply and respond with care and insight to one another. Managing individual and group conflict without tears or fears. Participants will identify emotional triggers that often shut down potentially useful and unorthodox solutions to intractable problems. Such an embrace of the positive possibilities of conflict can help shift the outcomes from agreement to cooperation and the process from ideological paralysis to curious engagement. John McLaulin’s Ph. D is in English, from Harvard University. He holds emeritus faculty rant from East Stroudsburg University, in Pennsylvania, and is currently an adjunct in English at Montgomery College, Germantown, MD. He was born in Glasgow, Scotland, and served on trampships in the British Merchant Navy for two years. Outside of academia, he has taught adult functional non-literates to read, write and do arithmetic to 6thg grade level, using the PLATO system, for the Rev. Leon Sullivan’s opportunity industrialization project in Philadelphia, PA: he has designed vo-tech curricula for teenaged dyslexics at Wordsworth Academy in Ft Washington, PA: he ran a (videotape) research project, under the supervisor of Dr. Wm Reed, at the White Haven State Hospital for the Mentally Retarded,, in White Have, PA: and he was a consultant to a DoD project, involving the early use of network computers as a forward field supply system in Iran. He and his wife (Jamie Downns) cofounded A family of Artists in the Poconos, and ran it for ten years; it involved fine arts classes for “thruway kids, who had been given up on by the local schools, and it eventually turned into a small private HS school program for a good of these students. His professional specialties include medieval English literature, curriculum development, grant writing, technical writing and business communication. Teacher training in “Strength/Weakness Analysis” and student development.